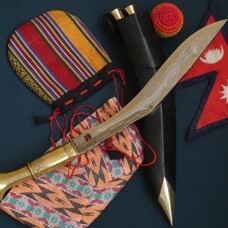 It is indeed a piece of art with a plethora of myth, mystique and mystery surrounding it. 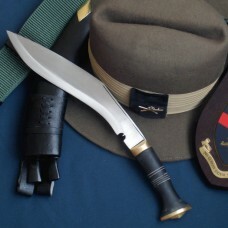 The Gurkhas carry this khukuri on special occasions such as ceremonial kukri drill presentation to high ranking officers or dignitaries. 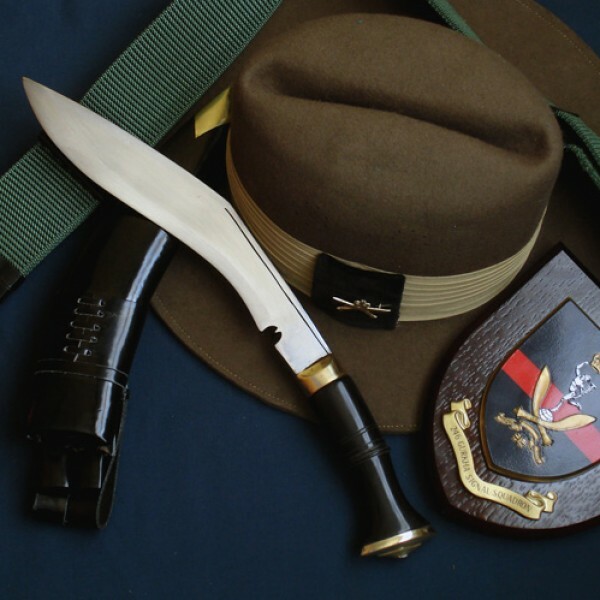 The Gurkhas withdraw the khukuri from the scabbard and display out for inspection with their rifle between their knees as a mark of respect to the officers and dignitaries. 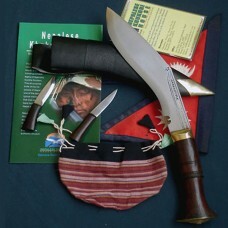 Crafted by hand here in Nepal, it has 10 1/2" long blade and 4.5" long Buffalo horn handle. 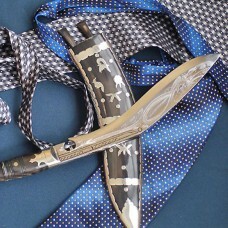 The dulled scabbard is made of High quality Shinny Patent Leather. 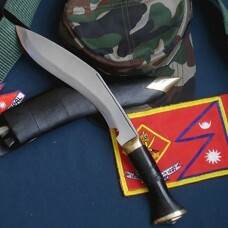 All Khukuris have two pockets on the back of the scabbard which hold a blunt steel called "chakmak" for sharpening the blade or for striking spark from flint and a little knife known as "karda" used for skinning small animals such as rabbits. 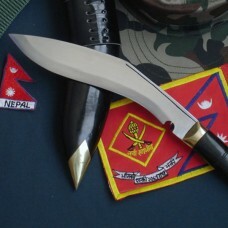 The notch (kaura or kaudi) in the blade near the hilt of most khukuris serves as conduit for the blood on the blade to drip out, thus preventing it from soiling the hilt, as well as a device for catching and neutralizing and enemy blade. It weighs 750 grams. 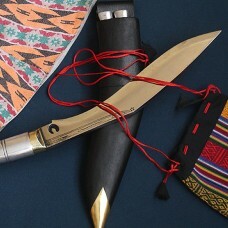 The total shipping weight including display wooden stand with packing will be 1.5 kg.